and thus a better life. At every stage of the production process, our main concerns are the respect of our bees, of the environment and of the final customers. 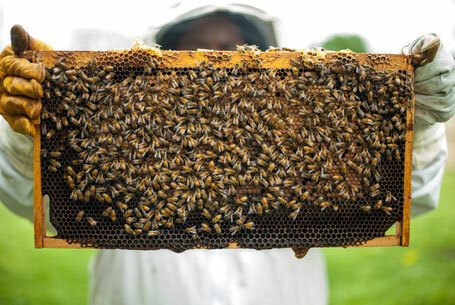 How is our raw honey produced? We work on our honey in a way that do not alter its chemical and physical properties. The honeycombs frames are removed from the beehives and carried to the farm, where the honey is extracted by centrifugation. Later, the honey is strained in order to remove any residual of wax. In the last step, the honey is bottled and the jars are labeled, packaged, and stored. 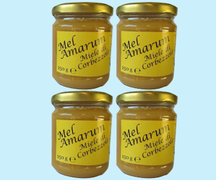 During the extraction, straining and bottling, the honey is not heated nor pasteurized. Moreover, we do not add any type of substance that sweetens the honey or helps to keep it in a liquid state. As every genuine and unprocessed honey, our raw honey will naturally crystallize. 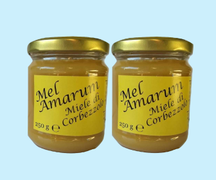 Where does the Mel Amarum Honey come from? Our raw honey is produced in the center and south of Sardinia, Italy. 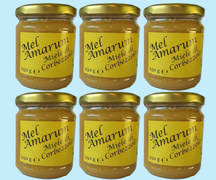 Who produces the Mel Amarum Honey? 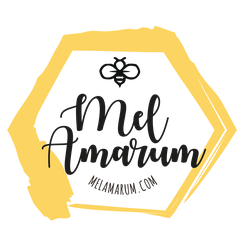 Mel Amarum comes from a very long experience in beekeeping and production of honey and, more than else, from a strong passion for what we do. 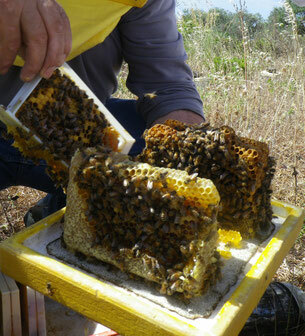 Our honey farm is in the south of Sardinia, and we work in the center and south of the island. We move our beehives according to the different flowering, in order to produce different types of honey. Our beekeeper, Virgilio, has been working in this field for more than 30 years and has a deep knowledge of the bees' world. In our farm we use renewable energy produced by photovoltaic panels.